We are the proud owners of a coffee farm in Honduras. Yes you read that correctly, we are indeed the proud owners of a coffee farm in Honduras. Check out these images of Tim and Jorge, as they place our sign in the ground, marking the land that is Finca Chapola. 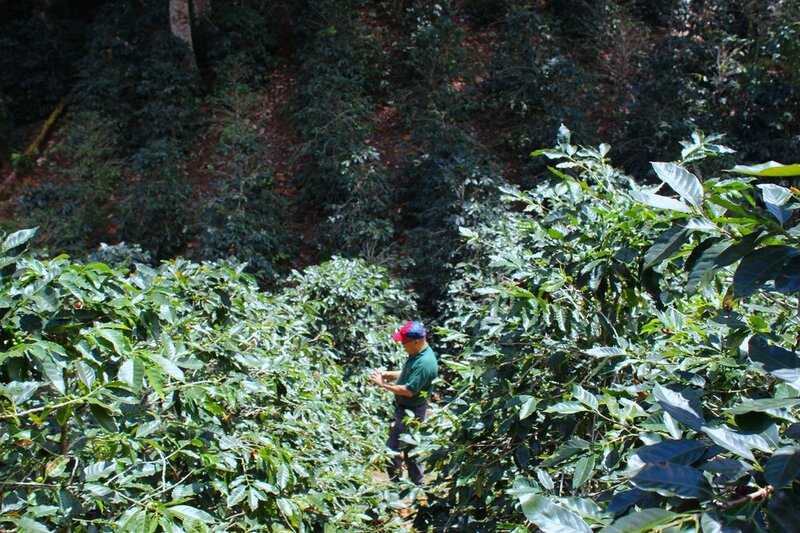 Located in the La Pena region within the Santa Barbara mountain range, Honduras at 1400 masl. We are sure that you all know about our Chapola Project, but if this isn’t ringing any bells jump over to THIS page to first have a read about who and what the Chapola Project is. This project helps support our producers in many ways, but there is no doubt, our most exciting project to date is our partnership with the Lanza Family, in the purchase of our Chapola farm, Finca Chapola (pictured). 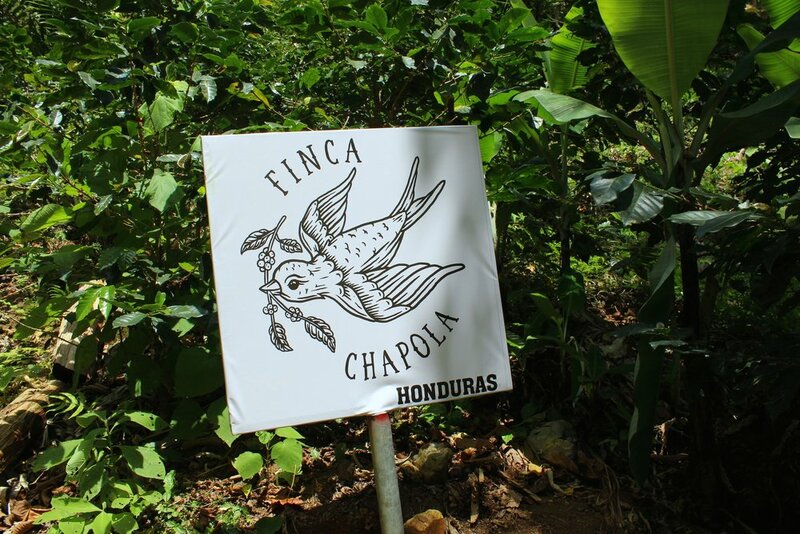 Earlier this month, we travelled to Honduras and visited Finca Chapola for the second time. Boy, has it come along nicely since our first visit there. The first picking has taken place only a few weeks ago, and the trees and cherries are maturing nicely gearing up for the second picking from our farm. Weather in Honduras this year, particularly the Santa Barbara region has been much better for our coffee trees. Last harvest, we saw frost cause havoc on the mountain range and unfortunately caused production to be down by 70% on the previous years harvest. This in itself is extremely hard to recover from, however with a dedicated community, passionate families and extremely well educated producers we won’t let that hinder the growth at Finca Chapola. 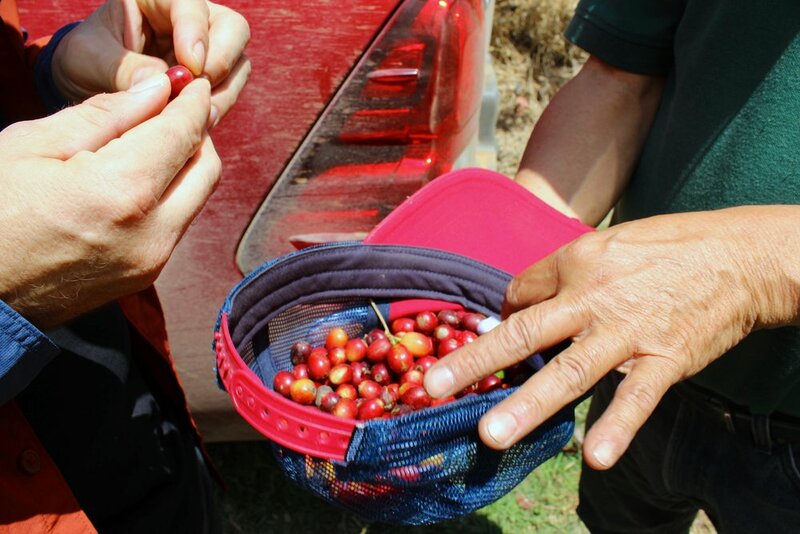 Currently we have very healthy Catimor varietal on our farm, but after hours of discussion with the Lanza family we have decided to plant 1,000 Paraneima trees, and 500 Geisha trees across 2 manzana’s in Finca Chapola. The ground is home to incredible nutrients & minerals and paired with the perfect climate there is no doubt that these varietals won’t flourish. So watch this space, in a few years time we will be able to taste the flavours of Paraneima and Geisha from our very own farm. Finca Chapola will not only help support the Lanza family, but as we learn together we will continue to educate neighbouring producers, as well as using our farm as an educational platform for Coffee Professionals, Baristas, Business Owners and Roasters from around the world. We are extremely proud to share with you all we can about not only our Chapola Project and the difference YOU are making to our producers but also the growth and development at Finca Chapola. Stay tuned, we have so much more to share. If you are interested in visiting Finca Chapola over the coming years, we would be delighted to take you on the journey with us. Contact Tim directly at tim@timadams.net.au for further details.